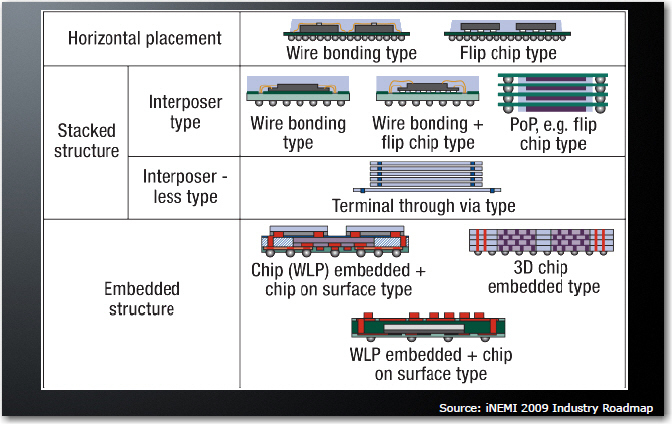 In November of 2010 MEPTEC (Microelectronics Packaging and Test Engineering Council) : a trade association of semiconductor suppliers and manufacturers)[link] brought together a group experts from AMD, Altera, Amkor, ASE, Cisco, LSI, Micron, TechSearch, Unisem , Yole and others to discuss the status of Semiconductor Packaging Roadmaps. While the presentations themselves may have had more meat on the bone, many of the handouts were short on data and long on marketing fluff or are materials that we have already recently covered. There were, however, a couple of presentations worth looking at. 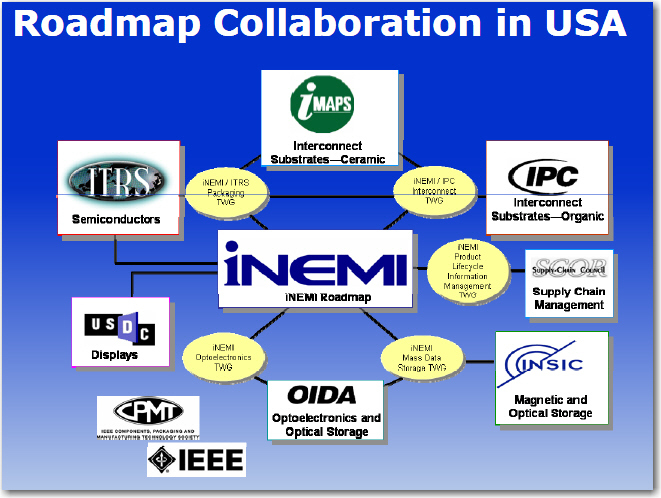 Its relationship to other Microelectronic roadmap activities in the US is shown below where i-NEMI is actually the pivot point for all the microelectronic activities. 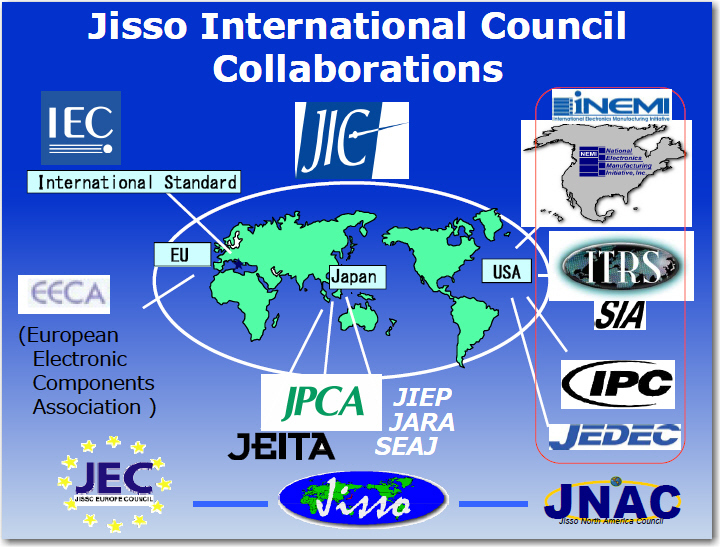 On a global basis, the other organization looking at overall semiconductor packaging solutions is JISSO [link], a Japanese term which reflects the total packaging solution for electronic products. The chart below shows its relationship to other global standards organizations. Bottoms premise is that for the past 40 years semiconductor progress could be easily predicted. The focus was on design and fab. 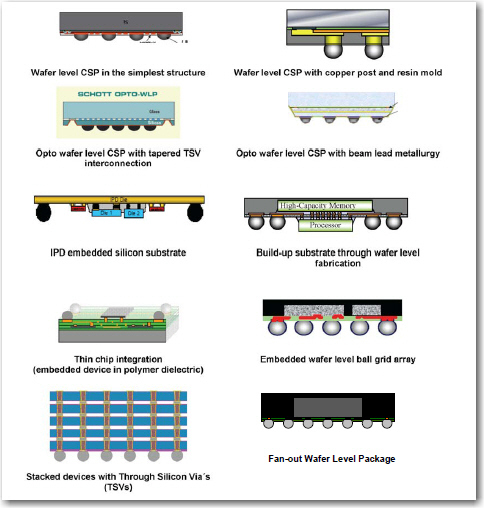 Semiconductor roadmap goals were all clearly focused on shrinking geometries (scaling) and increasing wafer size. 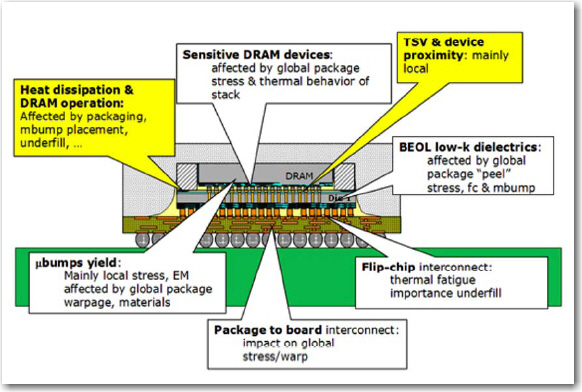 However, as we enter the “deep submicron” era, however, things become more complicated and packaging becomes a more important in delivering semiconductor yield, reliability and performance. Several architectural variations of WLP are in use today as are shown below. Another important trend in packaging is the incorporation of multiple die into a single package or what has become known as System in Package (SiP) [ MCM to those of us that have been around awhile]. Moving forward, Bottoms predicts, as many of us do, that the 3rd dimension will be the key enabler in maintaining the “price elastic growth of the electronics industry”. While 3D presents many challenges they all appear to have reasonable solutions. 3D will appear first through silicon interposers with through wafer connections and then through chips fabricated with internal TSV for through wafer connections . Bottoms concludes that the pace of change in packaging technology has never been greater and roadmaps are critical to continuation of this rate of progress. 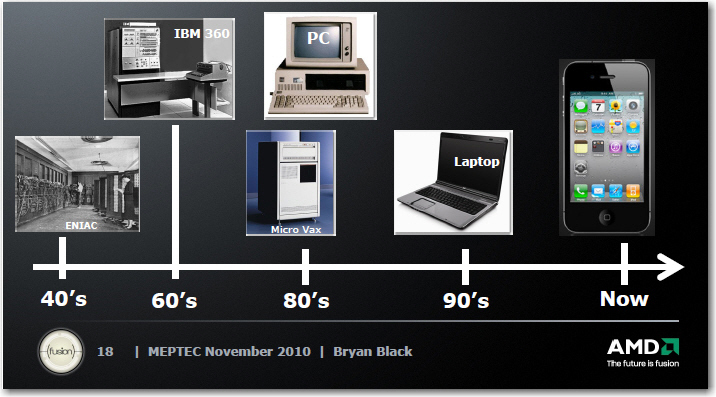 Bryan Black of AMD looked at why 3D is required if semiconductor technology is to continue to move ahead. 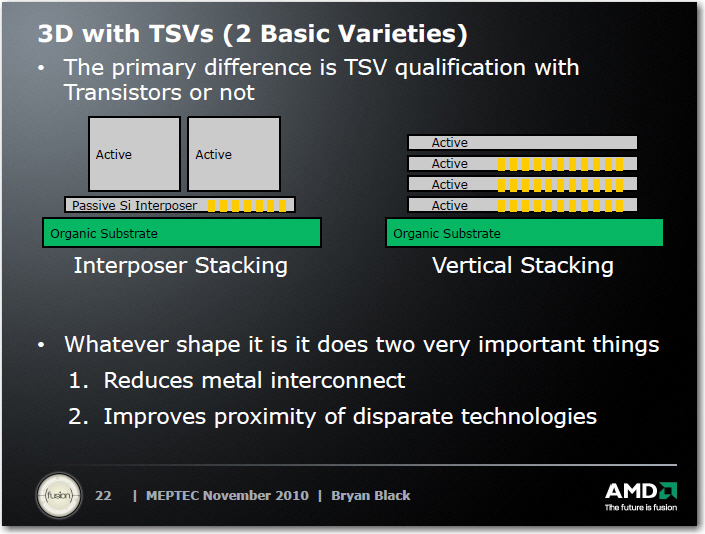 In standard fashion Black defines 3D technology in two varieties as shown below, TSV in active devices and TSV on interposers. For all the latest on 3D integration and advanced packaging stay linked to IFTLEâ? ?¦..